What keeps business leaders around the world up at night? 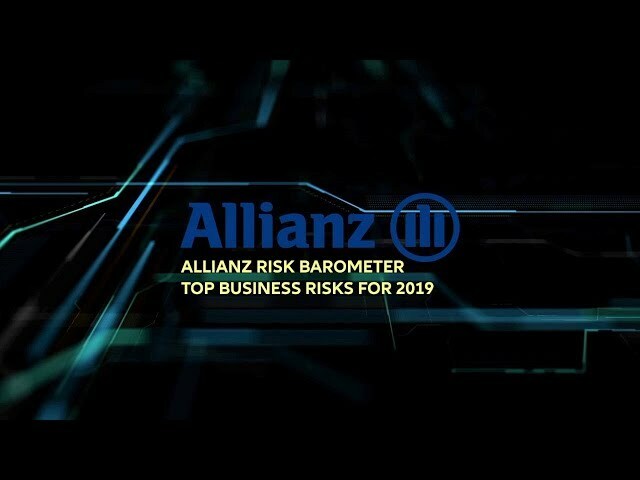 Every year, the Allianz Risk Barometer identifies the most important risks for companies for the next 12 months and beyond. For the 2019 edition, more than 2,415 risk experts from 86 countries were surveyed about the perils that worry them most. Watch the video to learn more about the 10 major threats for companies through 2019 and beyond.